Dachshunds are some of the most energetic, courageous and playful dogs out there. As such, they need lots of wholesome, healthy foods to keep them fueled throughout the day. But like every other dog breed, Dachshunds also have their weaknesses – and in this case, it’s their spine and digestive system. Thanks to their long spine, Dachshunds have a high risk for intervertebral disk disease. They also have quite sensitive stomachs and are prone to obesity, which is why they require special foods – easily digestible, palatable, but also nutritionally complete foods that support and nourish their small but tough bodies. Unfortunately (or luckily, depending on how you look at it), the market is saturated with dog foods, so it can be difficult to navigate the chaos and find the right food for your pooch. But that’s why we’re here – to help you find the absolute best dog food for your Dachshund. Below, you can find our list of top rated Weiner dog foods, as well as our buying guide and FAQs. So read on, inform yourself, and buy your precious little canine companion the food she or he deserves today. 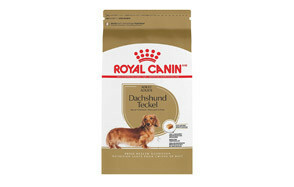 If you want only the best of the best for your Dachshund, then this is the dog food you (or rather your pooch!) need to try. The Royal Canin Adult Dry Dog Food features an exclusive kibble that consists of nutrients scientifically proven to support dog’s health and improve the look of his coat. This kibble has an ideal ratio of protein, fat and carbohydrates and as well as an appropriate amount of calcium and phosphorus, so it’s guaranteed to help maintain your pet’s healthy bones, joints, and muscles. Furthermore, the specific shape of kibble encourages chewing and helps reduce dental plaque and tartar buildup. Highly aromatic and palatable, this healthy dog food is a favorite even for picky eaters. If your adult Dotson dog is prone to some tooth and gum problems, you need to check out the Eukanuba dog food. This kibble is specifically designed for Dachshunds, with excellent protein to fat to carbs ratio and omega 6 to omega 3 fatty acids. The Eukanuba Dachshund Dog Food features a system called 3D Dentadefense, which reduces tartar build-up in just 28 days. And with a specialized fiber system, made from probiotic FOS and natural beet pulp, this dog food is perfect for the Dachshund’s sensitive stomach as it improves digestion and promotes nutrient absorption. Importantly, it’s also fortified with calcium to support the Weiner dog’s special nutrient requirements for strong bones. The Blue Buffalo is no stranger to making great-quality pet foods, and this particular kibble – small breed, healthy weight, chicken and brown rice– is no exception. With plenty of protein, healthy fats and fiber, this dog food is sure to keep your Dachshund healthy, energetic and great-looking. Containing whole grains and real chicken (there are no meat by-products here! ), but no fillers of any kind, this kibble is an amazing blend of important nutrients, antioxidants, vitamins and minerals that support the dog’s immune system and healthy muscle development. An optimal balance of omega 6 and omega 3 fatty acids promotes a shiny coat and healthy skin, while veggies like carrots, sweet potatoes, and peas work on boosting your pooch’s energy levels. The Wellness Core dog foods are based on basic, ‘core’ nutritional needs of dogs, including Dachshunds – natural ingredients such as real meats and veggies and no grains. This particular kibble is made of turkey meat, potatoes, flaxseed, spinach, salmon oil, broccoli, carrots and many other healthy, wholesome foods. 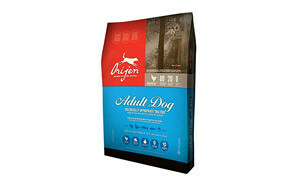 This canine food is highly rich in protein, so necessary for proper muscle development and active dogs. It’s also rich in healthy fats and fiber and has a great omega 6 to omega 3 fatty acids ratio, which is all reflected in your pooch’s shiny, healthy coat. Importantly, it contains various probiotics that promote digestion and nutrient absorption as well as added vitamins and minerals for a complete nutritional meal. If you know your pup thrives best on a protein-rich diet, you need to try the Orijen, one of the most popular dog foods on the market. This is high-quality freeze-dried dog food, that contains fresh free-run chicken and turkey, as well as wild-caught herring, but no grains. As the manufacturer sites, all dogs are biologically adapted to thrive on a natural but varied diet of fresh meats and small amounts of vegetables, fruits, and grasses. And that’s exactly what you can find here: from whole poultry (organs and all!) to whole fish, eggs, spinach, carrots, cranberries, blackberries and a whole bunch of other healthy fruits and veggies. The food is very high in protein, as well as healthy fats, so it’s perfect for Dachshunds who need to put on some weight or are very active. Specifically made for small breed dogs such as Dachshunds, this Nutro dog food formula contains real, wholesome ingredients necessary for canine health. This kibble is the chicken, brown rice and sweet potato recipe, full of flavor and aroma. With farm-raised, protein-rich chicken, healthy whole grains such as brown rice and barley, and veggies and fruits such as sweet potato, peas, carrots, blueberries and apples, this formula provides a good balance of protein, fat and carbohydrates. There’s also flaxseed present to up that omega 3 fatty acid content, as well as added vitamins and minerals for a complete nutritional profile. And for those that care about food sourcing, all of the ingredients are non-GMO. The Wellness Pet Food is well-known for its good-quality products, and they deliver here too. This formula is made for small breed dogs, including Dachshunds, and is formulated with a balanced blend of proteins, fats and carbohydrates, containing no grains whatsoever. With ingredients such as turkey, chicken, salmon, lentils, peas, spinach, tomatoes, flaxseed, , sweet potatoes, blueberries, apples and other super-healthy foods, your pooch is not only going to enjoy his flavorful meals, but is going to be healthy, with a great-looking coat. Of course, there are also vitamins and minerals added for a complete nutritional profile, as well as some probiotics for easy digestion. This kibble is very high in protein, best-suited for highly active dogs. One of the best dog foods for puppies on the market, the Hill’s Science Diet dog food provides a balanced, easy-to-digest nutrition so necessary for the growing Dachshunds. Made with chicken meal and barley, this kibble is highly palatable as well as nutritionally complete, guaranteed to make your pup grow up into a strong, energetic canine. With ingredients such as chicken, pork and various whole grains, including barley and sorghum, this dog food is highly rich in protein, which is great news for all growing and developing puppies. There’s also quite a lot of healthy fats, mostly coming from animal fat but fish oil too, which is good for the puppy’s coat and skin. And finally, there’s a moderate amount of fruits and veggies in this kibble as well, all contributing to a balanced nutrition. Of course, the food is also fortified and important vitamins and minerals. 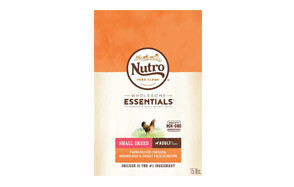 If you’re looking for healthy, delicious dog food for your senior Dachshund, try the Nutro Ultra Senior. Made from meat, whole grains and various fruits and veggies, this formula is a perfect combination of nutrients required by aging immune systems and joints. With three protein sources (chicken, lamb and salmon), whole grains such as brown rice and oatmeal, and fruits, veggies and seeds like kale, spinach, carrots, tomatoes, blueberries, apples, chia seeds and flaxseed, this kibble has everything a senior dog needs. There are also important vitamins and minerals added, so your pooch is sure to get a nutritionally complete meal every time. So there you have it – our top picks for the best dog food for Dachshunds. Whether you’re looking for affordable, the best-of-the-best, dog food for puppies or dog food for seniors, we’re sure you’ll be able to find the right product for your canine friend here. But, if you need a bit more information on how to choose the best food for Dachshunds – have no fear. We cover everything you need to know about the nutritional needs of Dachshunds, from ingredients to look for to those to avoid, to common health problems this breed experiences. And of course, at the end of the article, you can read about the frequently asked questions, and even check out our own top pick. To properly develop and be healthy, all dogs require wholesome, healthy foods, rich in protein, healthy fats, and complex carbohydrates. This includes the Weiner dogs too, who although have some specific health problems you should look out for, are perfectly fine with most top dog foods in general. But what makes a dog food ‘top’? Here are some of the characteristics of a reliable dog food. All dog foods should contain real, wholesome ingredients along with some processed foods (such as ground flaxseed or dried beetroot, etc). Because all canines thrive on protein-rich diets, the number one ingredient should ideally be meat. Chicken, turkey, pork, beef are all excellent for dog health, and the less processed meat, the better. Fish is also highly welcome, as well as some whole grains if your pooch can tolerate them, and fruits, veggies, and seeds. Therefore, whole meat is best, but meat meal and some by-products are fine too, as long as the brand is reputable and has high safety standards. All food, including dog food, needs to have some form of a preservative in order to have a long(er) shelf-life. After all, who wants to give their dog a moldy meal?! However, not all preservatives are the same. For example, the more natural a preservative is, the better, as most Dachshunds have sensitive stomachs. Also, the amount of a preservative matters too–less is, generally speaking, better. Because Dachshunds tend to suffer from spine problems, joint and bone weakness, it’s best to look for foods that are fortified with calcium, glucosamine, and chondroitin. These supplements have been shown to improve bone and joint health and are particularly welcome in a Weiner dog’s diet. An average adult Dachshund weighs around 30 pounds and needs less than 1000 calories (800-900) per day, and that’s if she or he gets a decent amount of physical activity daily. If you have an adult miniature Dachshund, his caloric needs are even lower – just around 400 calories per day. Of course, just like humans, dogs are all different too, so the daily intake of calories for your dog may be different than the daily intake of calories for my dog simply because they may have different metabolisms. Not to mention, physical activity plays a huge role – the less active a Dachshund is, the less she should eat, and vice versa. As for puppies, they require more nutrient-rich and caloric foods, as they’re growing and developing. Usually, this is around 1000 calories a day, so slightly more than an adult dog. No matter the life stage of your Weiner dog, look for foods with a balanced ratio of protein, fat and carbohydrates and those fortified with important vitamins and minerals, such as vitamins B and E, calcium, zinc, and iron. It’s pretty clear that we should all look for dog food with a balanced amount of macronutrients (protein, fat, and carbs), and the proper amount of micronutrients (vitamins, minerals, and antioxidants). But what about the things our canine companions should avoid? As mentioned, you want to stay away from dog foods that contain many artificial fillers and additives, including preservatives, flavors, and colors. These can upset the sensitive stomachs of Dachshunds and cause allergies. Of course, some added flavor is fine from time to time, especially if your pooch seems to love the food – still, try to limit such foods as much as possible. If your pup has a sensitive stomach it’s best to avoid refined grains. Some whole grains, such as oats, barley, sorghum, etc., an excellent source of nutrients and can be healthy for already healthy dogs, but refined grains? Not so much. They’re mostly there as fillers and nothing more. Of course, if your dog has a very sensitive stomach, or you know that he is gluten intolerant (a rare condition), it’s best to avoid all gluten-grains, whole and refined. All dog breeds have their strengths and weaknesses and Dachshunds are no exception. As we mentioned earlier, the Weaner dogs are prone to quite a few health issues, so it’s important to feed them a healthy diet, one that will support and improve their well-being, and not work against it. Regular physical activity is also a must but becomes even more important for these highly energetic dogs. Of course, no food or exercise can perform miracles and heal your dog from a potential health problem, but poor diet and little to no physical activity can definitely make things worse. It’s easy to fatten up small dogs, Dachshunds included. It’s important to feed all dogs a well-balanced diet so they’re always at their optimal weight, but it’s even more important for Dachshunds, who if overweight, tend to have serious spine problems. You may also like our food guide for French Bulldogs. Q: What is breed-specific dog food? A: While most dogs require a similar diet, one that has a balanced ratio of macro- and micronutrients, some breeds may require more this than that. For instance, small breeds have different nutritional needs than large breeds, and purebred dogs may have different nutritional needs than mixed breeds. Dachshunds, in particular, have unique health concerns and may need a breed-specific dog food that will address them. For example, this breed may need more calcium than usual because of their tendency to develop bone and joint issues. Q: What should I know about dachshund puppies? A: Like all breeds, Dachshunds have their own specific interests, temperament, and nutritional needs. Energetic: a Weiner puppy needs lots of physical exercises, so make sure you play with your tiny furry friend every single day. Curious: dachshunds were originally bred for hunting badgers, so even at a young age, they tend to be super-curious. They love sniffing around, digging and scratching, so make sure you train them not to damage your furniture. Bark loudly: Dachshunds tend to bark loudly, deeply and a lot. Even as puppies, they may bark at ‘strange’ objects, people and situations, so you may need to train them to bark less to keep them under control. Prone to back problems: because of their long spines and short legs, the Dachshunds are prone to spine and joint problems. So while it’s important to play with your puppy frequently, it’s also it’s a good idea to minimize jumping and things that put a lot of pressure on their backs and joints. Q: How to change your Dachshund’s diet? A: Whether you have a German Shepard, a Dobermann or a Dachshund, it’s important to feed your dog a healthy diet that fulfills all their nutritional needs. It’s also a good idea to keep the diet consistent, meaning if you’ve been giving your pooch dry dog foods and she’s been thriving on it, it’s best not to suddenly switch to wet foods. However, sometimes we have to change our dog’s diet, either due to their health problems, age or because her favorite brand no longer makes the food as they used to. Whatever the reason or the change, it’s important to go slowly. Whether you’re switching from one brand to another or from wet foods to dry foods or vice versa, introduce the new food slowly so your pooch’s stomach (and taste buds!) can get used to the new diet with little to no issues. Q: How often should I feed my dachshund? If you have a Dachshund puppy, it’s wise to feed him four to five times a day – always small meals. Once he’s 3 months old, bring this down to four to three meals a day, and when he’s 6 months old, to three meals a day. If you have an adult Dachshund dog (12+ months) it’s best to feed her two small meals every day. Nursing dogs should be fed more often, so it’s best to leave food out all day to let the dog graze whenever she wants. His health: dogs who recently suffered a trauma or are under stress (surgery,etc.) may require more food in order to recover. Nursing dogs also need more food. Q: How can I stop my dog from rushing his food at meal times? Feed him from your hand: pour some kibble in your hand and hand-feed your pooch to monitor his intake. Allowing your dog to eat a few pieces of food at a time may teach him to eat slower. Use obstacles: put objects into your dog’s bowl when feeding him to make it harder for him to get to the food. A large rock or even a softball is perfect for this. Just put the object right in the middle of the bowl and pour kibble around it.